In Victoria, local government is established by an Act of state parliament – the Local Government Act 1989 (PDF - 1.66MB) – which specifies council powers, duties and functions. The legal basis for councils is established under the Constitution Act 1975. Federal government has responsibilities including defence, telecommunications, postal services and immigration. 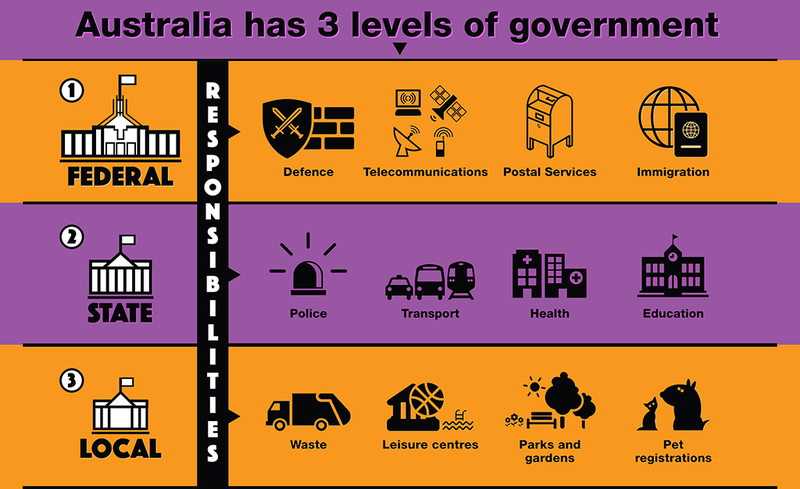 State government has responsibilities including the police, transport, health and education. Local government has responsibilities including waste management, leisure centres, parks and gardens, and pet registrations.